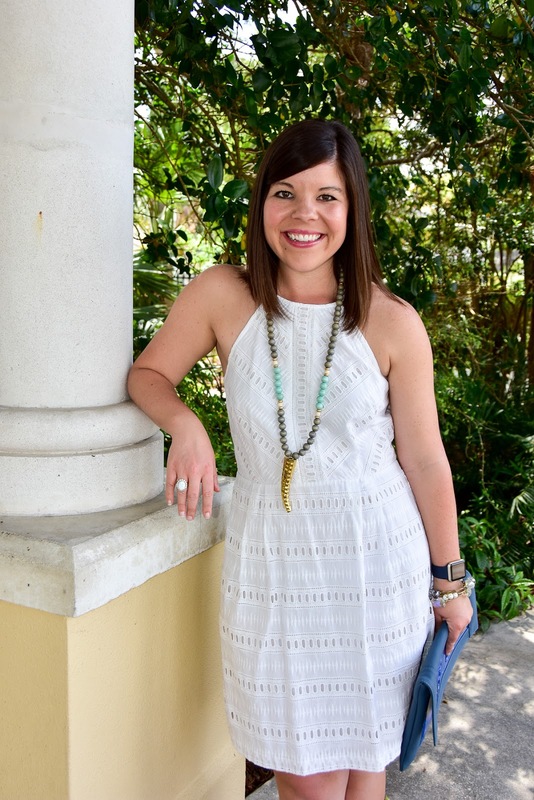 Laura Cox Designs Necklace + GIVEAWAY! 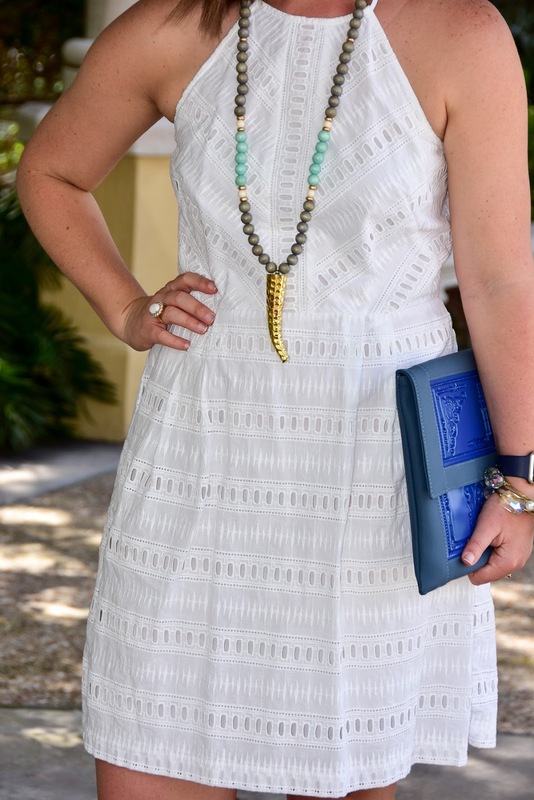 I paired my necklace with this simple white dress (so the necklace pops!) 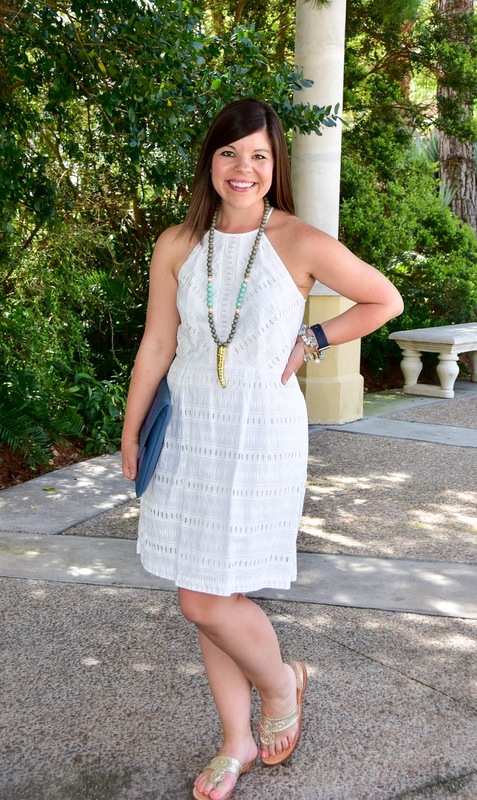 but I’ve already worn it with a black maxi dress & a turquoise romper- there are so many ways to style this beauty! NOTE: Giveaway is only open for US entrants. Thank you for your understanding! 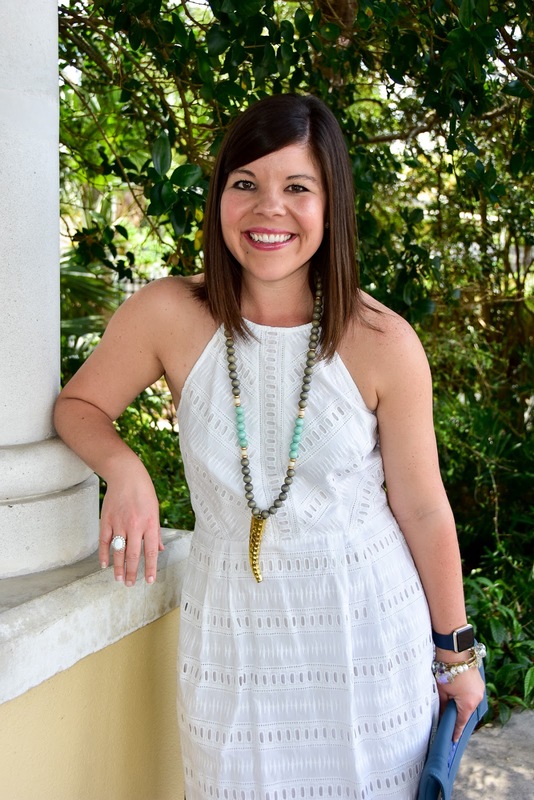 What a fun statement necklace! 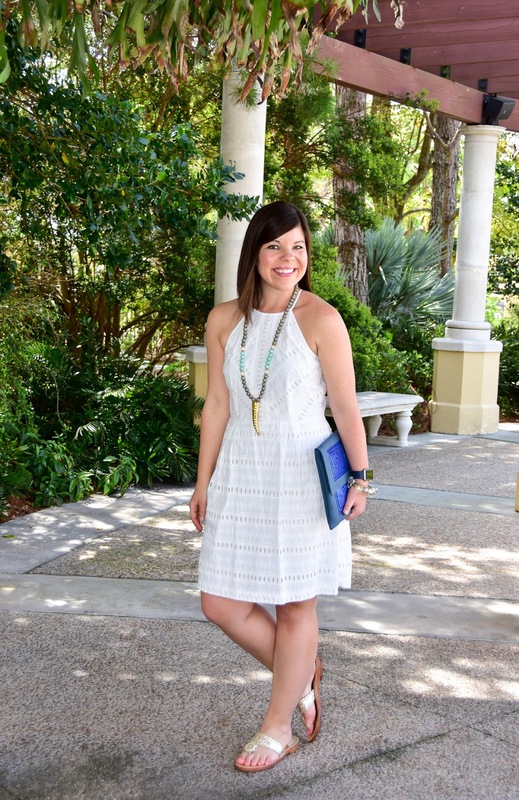 I love it with the white and perfect for Spring! This necklace is so fun! I love how you wore it too. That dress is so adorable on you! I love a pretty Laura Cox necklace! 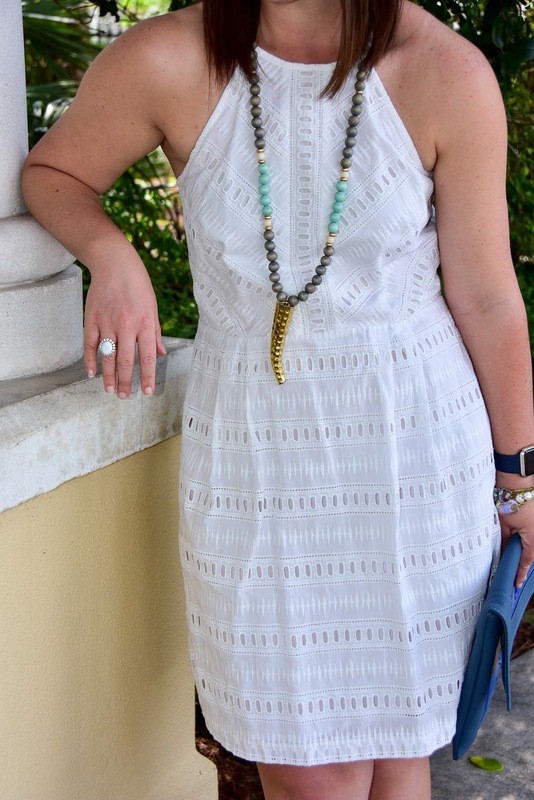 I've got my favorite on today, too 🙂 All of her necklaces are fun for spring because they all pop so much when paired with a pretty white dress! I love Spring because then comes summer. love that necklace and the neckline of that dress. tulips and daffodils are my favorite flowers, and of course they symbolize spring for me. thanks! I love how everything blooms in spring! This necklace is so gorgeous! Love it! I bet that is such a cool job! It would be a really neat way to discover new designers. This outfit is so cute too! Such a pretty piece!! 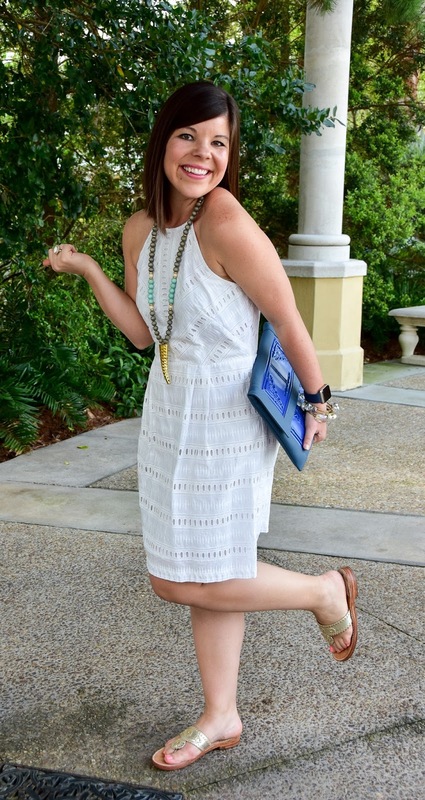 Love your white spring-y look too! I love this necklace! 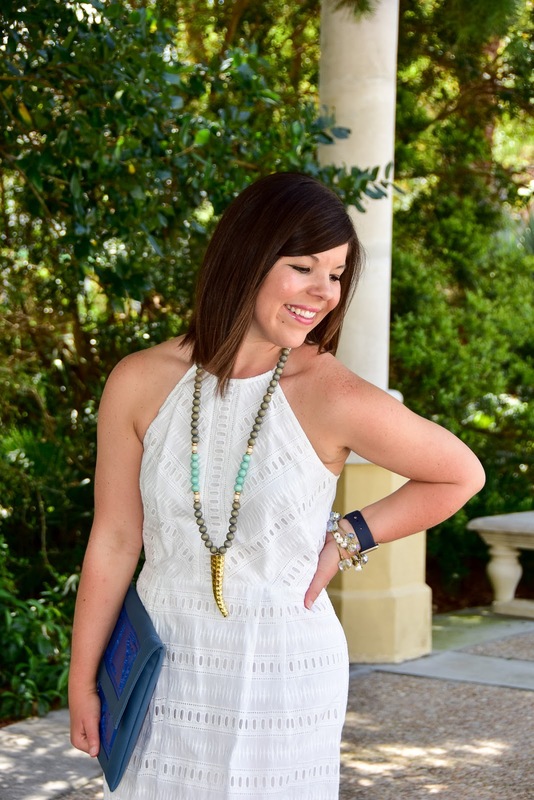 I just checked out the Etsy shop & I am obsessed with the tassel necklace. 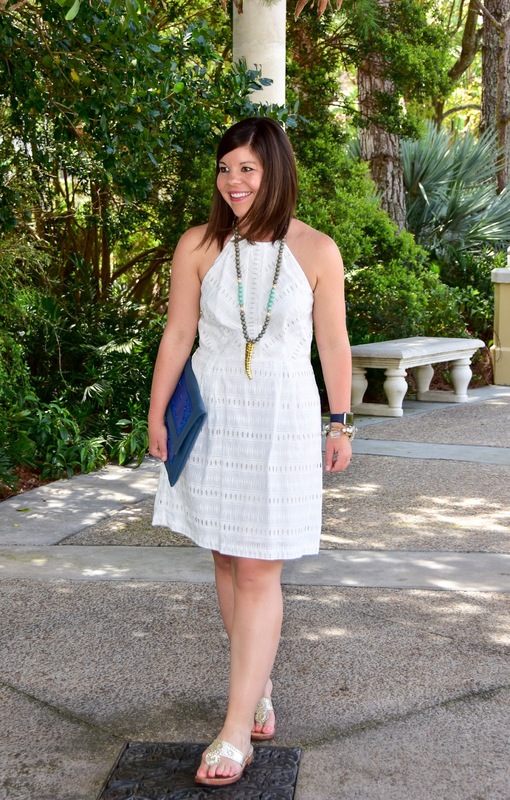 The white is the perfect color to let the necklace take center stage! I'm in love with that necklace!! My favorite part of spring is ditching the socks and shoes for flip flops! i love all the pastels! Hi Shelleen! Unfortunately the giveaway is only for the US at this time. Thank you for reading! What a beautiful necklace! I love the bright colors of Spring and being able to sit in the sun!